The Blue Diamond winner WRITTEN BY (pictured) returned the way he left Caulfield on Saturday with a big win for Grahame Begg and his team in the Skyline Education Foundation Plate. After a 9 week break the colt has returned bigger and better with has his eyes set on the Blue Sapphire and Coolmore in the coming weeks. 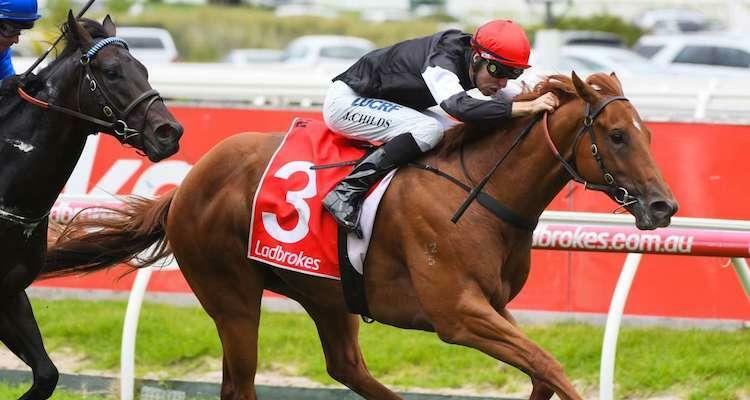 Snowden Racing made an impact with SPENDING TO WIN bringing his Sydney form to success at Caulfield, while Adam Trinder would have been thrilled with the win of MYSTIC JOURNEY in stakes company for the Tasmanian. More interstate success followed in Melbourne when Edmonds Racing prepared WINTER BRIDE in the lucky last. On the board early at Rosehill was Kris Lees Racing after GEM SONG started off favourite backers with a win. Canberra trainer Joseph Ible teamed up with Hugh Bowman who got the best out of Sebring mare SEEBLUME to score, while Mick Price Racing made the trip worthwhile when MISS ADMIRATION scored in the JRA Trophy. Winners were grinners at Morphettville for our miStable trainers. Chris Bieg kicked off the day's proceedings with WITH A BIT OF DASH, while Richard & Chantelle Jolly Racing prepared BAYOU for the new partnership. Leon Macdonald & Andrew Gluyas hit back after WASABI BOB carried on the Rebel Raider tradition. Well done also to Jamie Edwards of Emsley Lodge who traveled FILL THE FLUTE to make it back-to-back wins and COOL MAVERICK who scored a blow out result for Ryan Balfour Racing. A great achievement for Tony Haydon and his team after SEDUCTIVE DREAM made it five career wins at the Sunshine Coast under Taylor Marshall. FROM WITHIN continued a winning run at short odds for Edmonds Racing while VOLKOFF put his best foot forward to make it 11 wins for Bryan & Daniel Guy! Meagher Racing was back in the winner's stall with stable favourite DIVINE DICE, while Laurel Oak took out the last with a win from IMPASSE. To Belmont and Lindsey Smith Racing Stables prepared LOFTY LAD to his third win in six starts (plus two seconds! ), while Grant and Alana Williams had success with MYSTERY MISS. Last but not least, Harvey Racing got the best out of A KNIGHT OF PRO in the final event. A double in Darwin for Jason Manning with stable mates TAIPEI DANCER and PLENARY finding their way to the winner's circle. Gary Clarke didn't miss out with a strong performance from METALLIC CROWN. Racing was hot in Canberra on Friday. Congrats to Nick Olive, Matthew Dale, Luke Pepper and Capital Racing for their wins. A busy weekend also on international soil with Lee Freedman and James Peters scoring doubles in Singapore, while South African trainer Sean Tarry continued his winning form at Turffontein and Greyville.